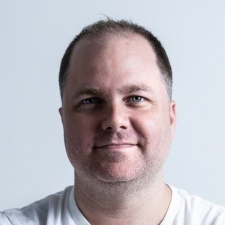 Serge Mongeau is the Studio Art Manager at Canadian-based developer Ludia. So much goes into creating a video game. The design, structure, programming, voice work, music, it goes on and on. Among these, one aspect that can separate the release from anything else on the market is the art. The world in which you live for the proceeding hours plays such a major impact on the overall feel of a game. Being able to sit down and think of these enchanting realms and all the little details that go with it is a gift that many of us would love to possess. When it comes to the art aspect, how does you start? Having a wicked imagination goes a long way but what steps can you take to ensure you set yourself on the right path? 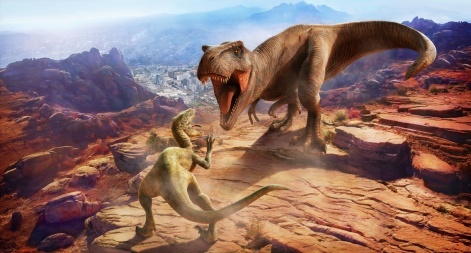 Canadian-developer Ludia is one studio that has used its imagination skills to help create fresh takes on existing franchises such as Teenage Mutant Ninja Turtles, How to Train Your Dragon and Jurassic World. So as part of our Jobs in Games series, we spoke with Ludia studio art manager Serge Mongeau on working with art on a daily basis as well as what misconceptions come with the territory. Serge Mongeau: My role at Ludia is studio art manager. My mission is to support our team of 100 talented artists with the proper training, tools and best practices. I’m involved with the hiring process as well as the performance assessments. Finally, I’m building bridges between teams to nurture a strong sense of community at a studio level. As long as I can remember, I was always an avid gamer. When I was 10, I found a used Commodore 64 on the sidewalk. I brought it home and started developing games - that was my eureka moment. I wanted to do that for a living. I remember that I couldn’t save my projects so I would keep my computer turned on until there was a power outage, then I would start anew. I guess that’s how you handle project management at 10 years of age. At the time, school offerings were scarce in video games so I took up a software engineering class. It was while writing software in school that I discovered a passion for UI/UX. That was my second eureka moment. Then one guy was crazy enough to hire me as an artist (thank you, Philippe). Since UI design is so central to the vision of the product, it was natural for me to train in motion, VFX, animation, 3D and on the technical side. I was then offered a leadership position and that led the way to art direction and studio management. Your portfolio is your window to the world. You need to let the world know how you think. If I could craft my perfect job, this would be it. I studied software engineering but it’s pretty atypical. For the artistic part, it was mostly spending thousands of hours at home learning and practising. Never underestimate the quality of content that you can find online. I’d say it doesn’t really matter what you learn - just stay in a learning mindset. Always look to level up your skills. Your portfolio is your window to the world. You need to let the world know how you think. Don’t shy away from showing your process, your references and inspirations, show you why. Otherwise, it’s just pretty pictures on a black background. Developing new talent. I like to see people blossom. You never forget the first person who trusted you. When you have the privilege to be that person, it’s really fulfilling. It infuses a strong sense of purpose in what I do. As an artist trying to get into management, there is often a misconception that it’s difficult to be creative and have proper organisational skills. It’s a shame because creativity comes from many places. It is certainly not constrained to art, yet the artists are the ones suffering the most from this misconception. To counter this, try to show great care and a deep understanding of the product you are developing. Get invested in the features you work on, bring ideas to the table and understand the perceived value of what you put into your game. If you show that you can balance the quality of your work with a strong technical sensibility and a great sense of business value, you will definitely do your part in shifting the stigma and I’m sure a great career awaits you. It’s tons of fun as well. Everybody wins. Find a studio where you feel at home with the values. Find a studio where you feel at home with the values. For instance, at Ludia we don’t hire brilliant jerks but we have tonnes of brilliant, humble and inspiring people in a collaborative environment. This is key for me. The best ideas rarely come up in meeting rooms or even at the office for that matter. They come when doing the most mundane tasks when your mind can have a life of its own and wanders around. Make room for those moments. This will sound cliché and overdone but keep a healthy and balanced lifestyle. I wish my younger self would have understood that earlier. Also, if this is important to you, make sure to pick a studio where it’s part of the culture.